As we all know, we live in a very non-vegan world. Animal exploitation occurs in all walks of life, and the use of animal “products” is normalised to a great extent in most societies. The commodification of the bodies of nonhuman animals is, sadly, rampant on a global scale. On the one hand, this makes it difficult to approach the subject of veganism and animal rights in a constructive way, as there is so much conditioning to overcome. On the other, it means that there are innumerable ways we can go about raising awareness – about the ethics of animal rights, the environmental impact of mass animal exploitation as well as the health implications of consuming foods from animal sources. This is an idiom most of us have encountered, and with good reason! Photography, art, or any other form of visual communication has proven to be highly impactful, time and time again . The visual medium speaks to us on a deep, intimate level and shifts the focus straight onto the message, rather than the messenger. 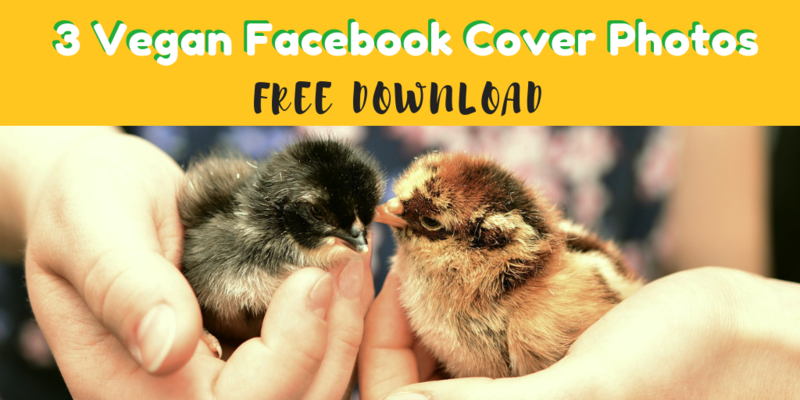 For this and for many other reasons we thought you may find these beautiful Facebook cover images useful! They bring the attention back to the animals, who are so often forgotten in our anthropocentric cultures. Why not use your social media profiles to convey your passion and principles in a strategic way? If you liked these images and found them useful, please share this post to help others take advantage of them too! Follow our website and social media pages for more helpful and interesting content.